[TopGear2th] Top Gear Season 22 Premieres Tonight! Top Gear Season 22 Episode 1 begins tonight in the UK at 8 PM, although for the first time will be broadcast live in most countries. This will mean if you are in Australia you will be able to watch the show at around 7 AM, although it will be the Monday. If you are in the US, then you can see the show at 3 PM EST and 12 PM PST. The BBC knew there was going to be a great deal of hype surrounding the new season of Top gear, and so what better way than to stop people streaming it illegally by offering fans the chance to watch it worldwide. If you are outside the UK, then you will be able to watch today’s show live via the official Top Gear website, seeing as though this is the place to come to watch previous episodes. There is also a teaser clip of tonight’s show. We’ve already heard a lot about Season 22 of the BBC’s Top Gear, and it hasn’t even aired in the U.S. yet. But while you’re probably sick of hearing about the uproar over Clarkson’s allegedly insensitive license plate, if you’re like us, you can’t wait for the first episode of Season 22, which premieres tonight. Here’s your first sneak peek at what the episode holds. First things first: spoilers ahead. If you’re the kind of person who desperately hopes to preserve the surprise of every facet of a new episode of Top Gear, push your computer away, plug your ears, and jog into a different room. Season 22 looks set to be one of the most exciting yet, and when you add into the equation the likes of Ed Sheeran and Will Smith being The Stars in the Reasonably Priced Car, we just cannot wait for later today. In this premiere episode of the 22nd season, Clarkson, Hammond, and May travel to Russia for a race across the historic city of Saint Petersburg. Per usual, May is driving a car—if the Renault Twizy barely-two-passenger electric runabout can properly be called a car—while Hammond pedals a bicycle. 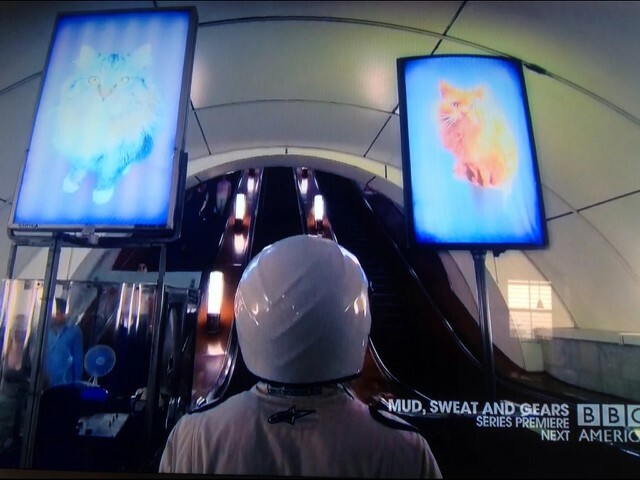 Clarkson, ever the maker of indefensible decisions, chooses a hovercraft, while The Stig forges on via Saint Petersburg’s public transit system. Here’s the boys themselves, giving a behind-the-scenes chat about how the whole thing went down. Again, if you want your viewing tonight to go unspoiled, don’t click on the video. The Google Street View Car has become quite famous for being the notoriously suspicious vehicle that slowly drives through neighborhoods and cities, capturing high resolution images of the surroundings. What better way to take the techmobile out of its comfort zone than by sending it out to map Top Gear’s track in a race. The popular BBC show normally runs a feature on the show each week called a star in a reasonably priced car, putting a celebrity in a selected vehicle to complete the circuit track as quick as they can. In this special feature the Google street view car has to compete against a Mercedes-Benz SLS AMG driven by The Stig, the race was an absolute no contest. Geospatial technologists, map enthusiasts, fans of repetitive mouse clicking, rejoice! It's now possible to explore Top Gear's remote test track in rural Surrey without leaving your living room. Yes, our top secret filming location (just off the A281 in Dunsfold) is now featured on Google Street View. Not only that, we sent TG's Man in a White Suit to keep Google's man in sunglasses company as he lapped our 1.75 miles of ex-airbase tarmac in his Opel Astra camera car (reasonably-priced no doubt). Inevitably, The Stig brought along something quicker: a Mercedes SLS AMG Black. Some sideways occurred. As you would expect the Mercedes absolutely embarrassed Google’s car, you can see the full video below which we have included. Of course the real advantage of Google and the BBC teaming up for this unusual event is that the street view vehicle drove around the Dunsfold Aerodrome (Top Gear track), which you can now see on Google Maps right here. The 2.82 KM of tarmac racing track can now be interactively viewed from various points of view in closer detail. Top Gear commercial director Duncan Gray highlighted that this has been good for millions of viewers who have wanted to explore the track, joking that The Stig was asked to slow down a few times. The Google Street View program manager Ulf Spitzer has also expressed the company’s pleasure at working on this project with the BBC; admitting it was thrilling to ride alongside the infamous Stig, as well as capturing some fantastic imagery. Will you be checking out the famous Top Gear track on Google Street View and Maps? 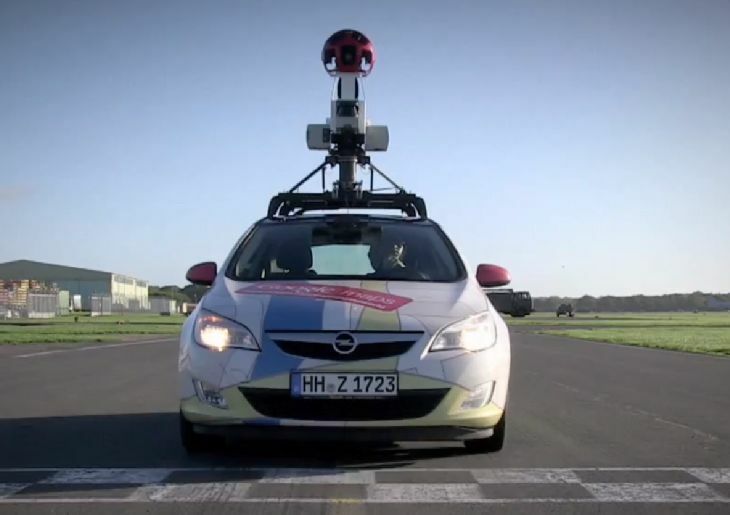 The Google Street View car as it lapped the familiar figure-of-eight Top Gear track at Dunsfold Aerodrome, Surrey. Simply type ‘Top Gear Test Track’ into Google Maps and drag the orange Pegman onto the track. Fans of the hit show can watch as The Stig puts a Mercedes-Benz SLS AMG Black through its paces on the 2.82km of tarmac. 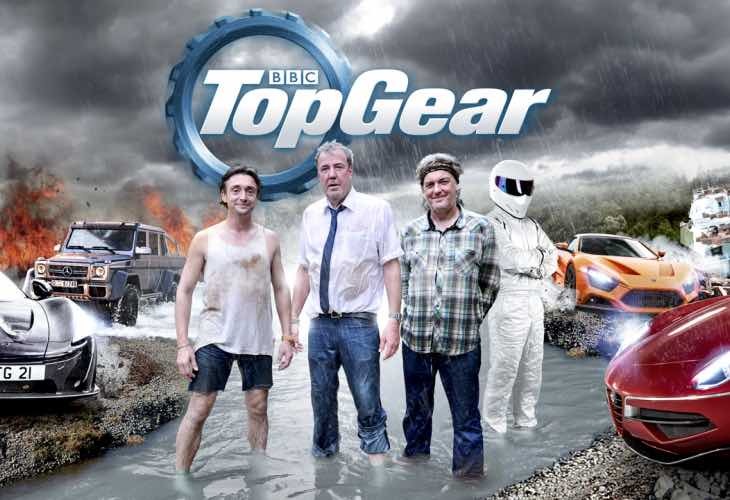 Top Gear returns to UK screens with Series 21 on Sunday 2nd February at 8.00pm on BBC TWO and BBC TWO HD. 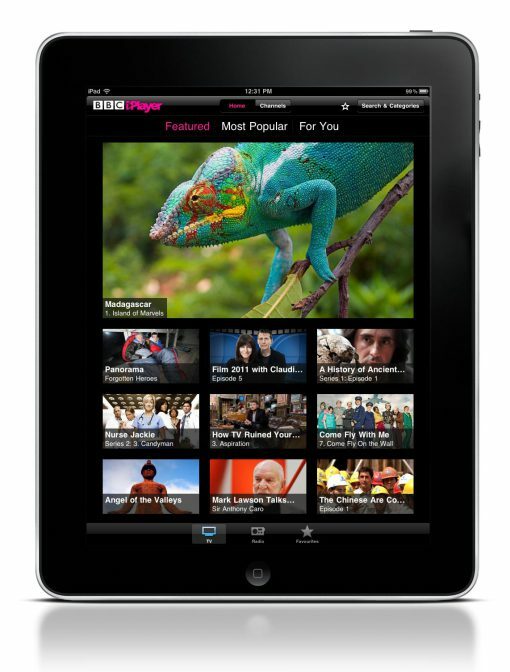 Top Gear is one of BBC Worldwide’s flagship brands airing in more than 214 territories internationally. 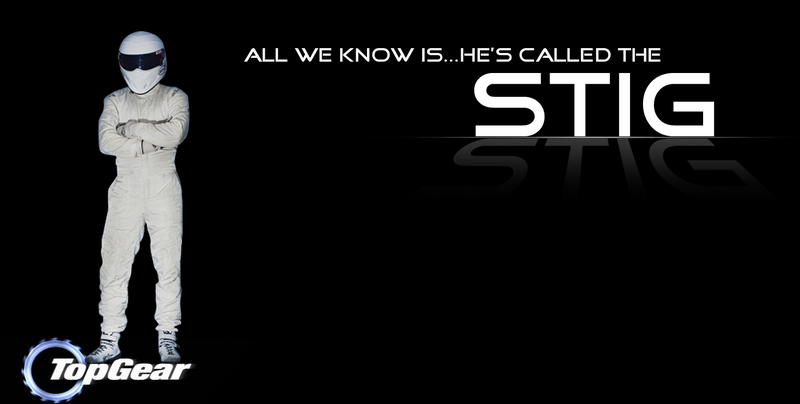 Many parallels have been drawn between the inhumanly speedy The Stig of Top Gear, and our own n7thGear's otherworldly prowess on the track. EP1 revealed yet another clue to their similarities, and perhaps an Achilles Heal to be used to defeat them.